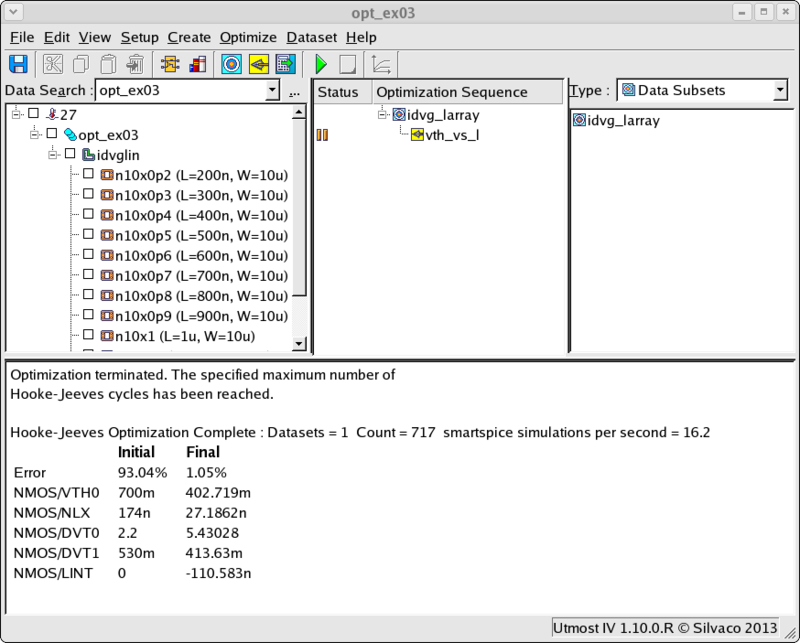 This example shows how to optimize extracted data in order to extract a mosfet SPICE model. Rather than optimizing the measured data directly, an extraction is performed on each of a number of datasets and the results from this extraction is then used to perform the optimization. The project file opt_ex03.prj and the data file opt_ex03.uds for this example should both be loaded into your database. When opened, the project will look as shown in opt_ex03_01.png . 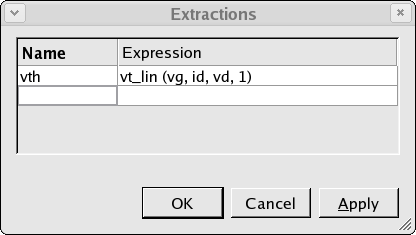 First, the extraction must be defined in the extractions dialog shown in opt_ex03_02.png . 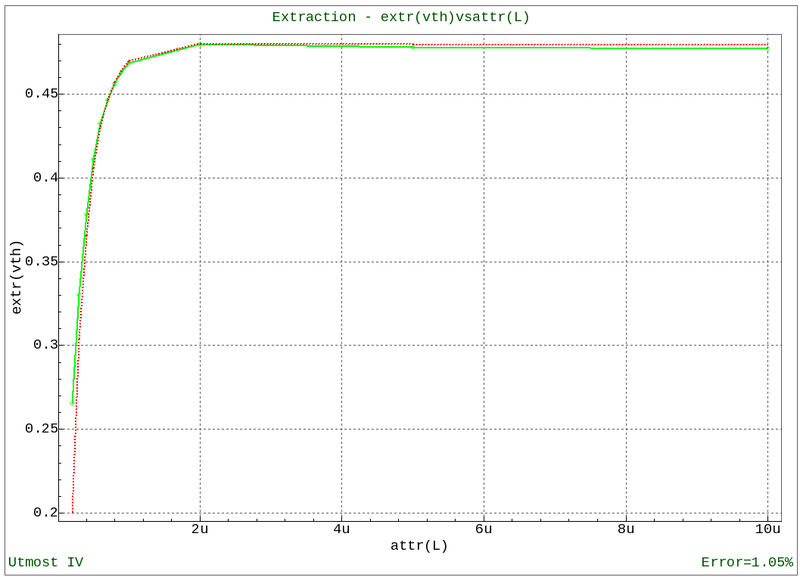 Then this extraction must be referenced in the optimization setup shown in opt_ex03_03.png . The special 'extr' syntax lets Utmost IV know that an extraction is to be performed on the datasets which are specified by the data subset. The special 'attr' syntax lets Utmost IV know that the extracted threshold voltage is to be plotted against the length of the transistor. 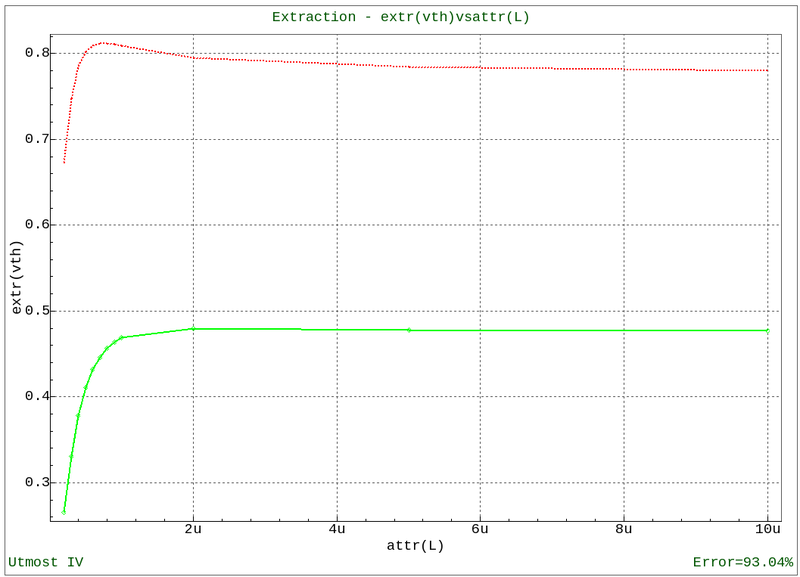 Before optimization the plot of threshold voltage versus transistor width is as shown in opt_ex03_04.png . 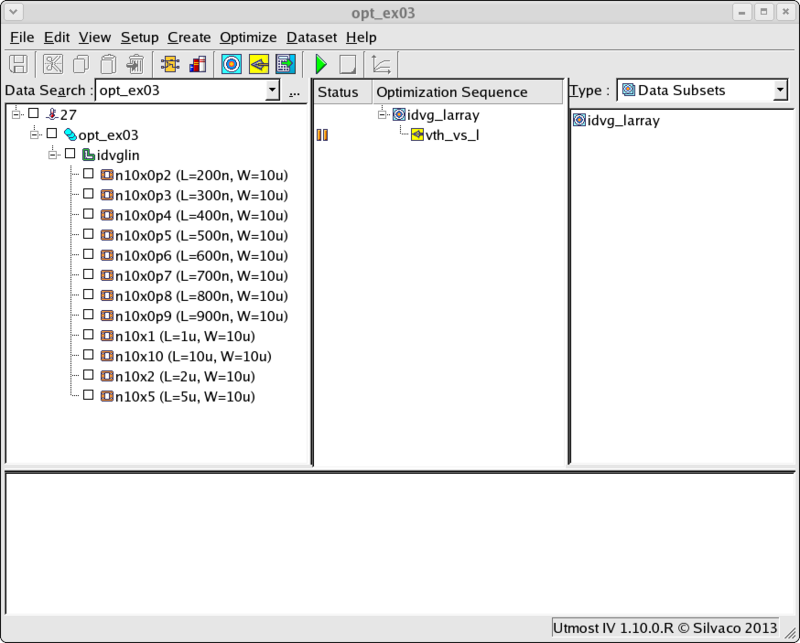 When the optmization sequence is run, it is the extracted threshold values which will be used, rather than the measured currents or voltages and the results of the optimization are displayed in the viewer as shown in opt_ex03_05.png and are also written to the project as shown in opt_ex03_06.png .